Stirling Properties serving as brokerage tenant rep in company expansion. 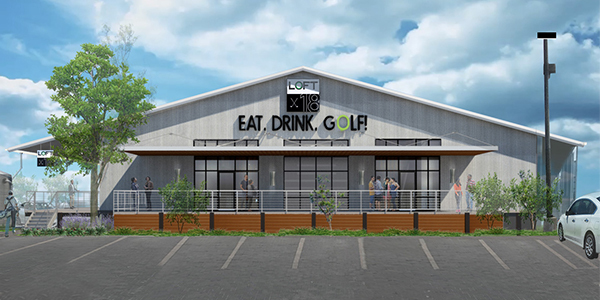 Stirling Properties commercial real estate company is pleased to announce that Loft18 indoor golf and entertainment complex is joining the tenant lineup at The Shops at Sawyer Yards in Houston, TX. Stirling Properties is serving as the brokerage representative for the company in its national expansion efforts. Loft18, founded in New Orleans, Louisiana, is an innovative, interactive golf concept featuring custom-built, state-of-the-art Full Swing Golf simulators that showcase nearly 100 championship courses to deliver precision play at its finest for golfers of all experience levels. And for non-golfers, Loft18’s full-service bar and restaurant offers gastro-pub fare, craft beer and cocktails, and New Orleans’ famous service and hospitality. This marks the second retail location for Loft18. It will occupy approximately 6,950 square feet of space located at 2313 Edwards Street on the western endcap of The Shops at Sawyer Yards. Buildout is underway, and it is expected to open in the summer of 2019. The Shops at Sawyer Yards is a 40,000-square-foot urban redevelopment project located at the corner of Edwards and Sawyer Streets, in the heart of the Washington Avenue Arts District. The Shops at Sawyer Yards features creative office space, retail, and entertainment spaces for lease. Other tenants in the project include Sticky Chicken, Awesome Bites, Pokeology, Bayou City Smiles, Polish Parker & Roe, Local Pho, Poitín, Satori Salon, and Orangetheory Fitness. The Loft18 concept came about four years ago by three long-time friends with backgrounds in hospitality, sales and entertainment and a fervent love for the game. Seeing a niche in the golf entertainment industry, the group opened its first location on Metairie Road in Metairie, Louisiana, a suburb of New Orleans last fall. Now, the company is planning expansion in several major markets across the country, as well as developing external partnership opportunities in other areas such as Dallas, Nashville, Chicago and Atlanta to name a few. 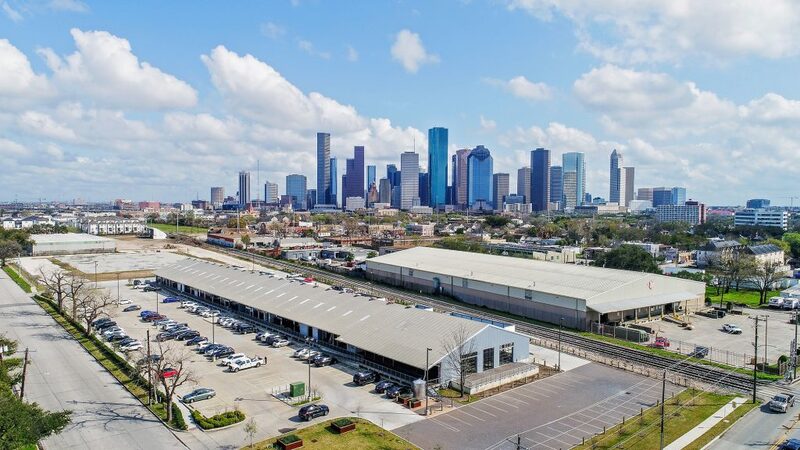 Lauren Ryan and Thomas Bryan, Sales and Leasing Executives with Stirling Properties, represented Loft18 in securing the historic Houston location, along with Bruce Wallace and Radkey Jolink with CBRE out of Houston, TX. For leasing information, please contact Lauren Ryan at lryan@stirlingprop.com / (504) 620-8124 or Thomas Bryan at tbryan@stirlingprop.com / (504) 620-8138.